This is the short version of this bag. The full explanation of this comes from Thomas' letter. 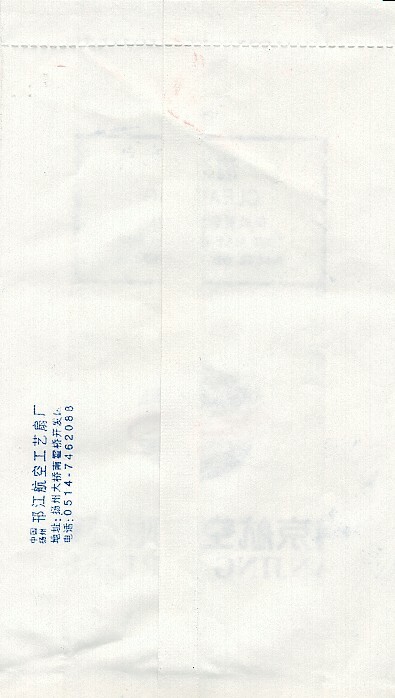 Enclosed you'll find the results of an advertising campaign my company made. 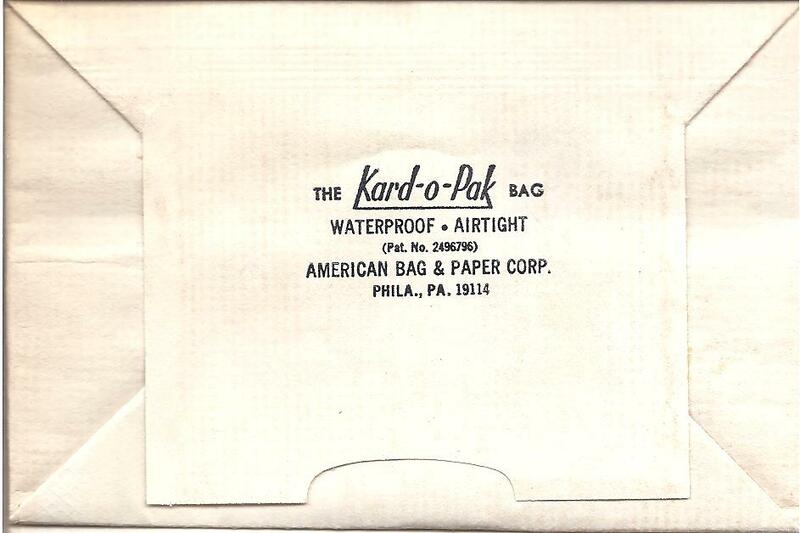 The variety of bags on your site was an inspiration for us. Thanks. The campaign was made for the free nightbusses that are organized by the city of Gent (Belgium) in cooperation with De Lun (public transport), to get young people home safely in the weekends. The cmpaign line reads 'NIGHTPUKERS, the last round is on us'. 'Nachtbrakers' (literal translation: 'night pukers') is a Dutch slang word for people that party hard and late. 'The last round is on us' is what you'd call if you offer a last round of drinks for everybody at a bar, but at the same time it could mean that the nightbusses take care of your last round/route home. 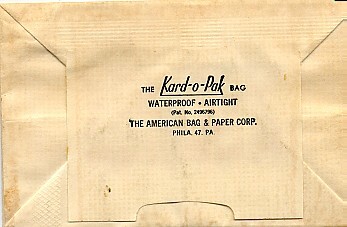 Two types of barf bags were made. 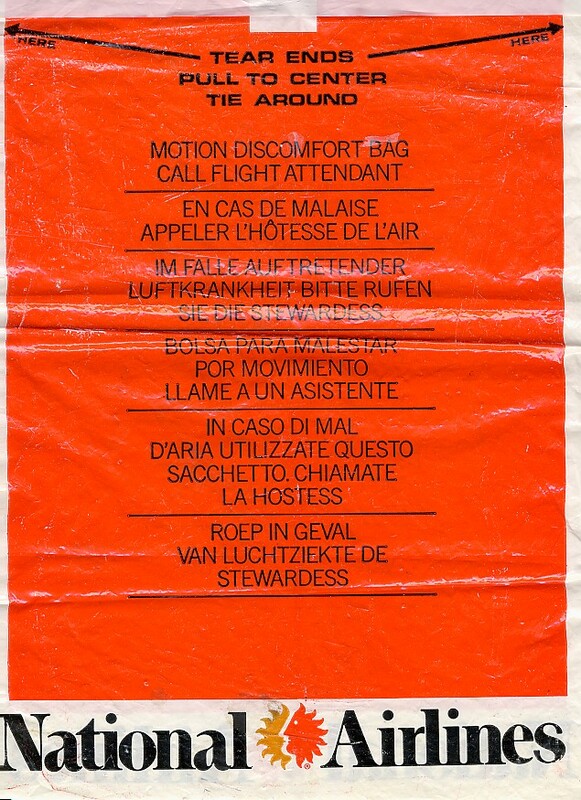 The longer one was used as an envelope, sent to all kids in Gent between 16-20 years old, with a letter from a bus driver inside. It's also a route plan and time schedule. In the square, you read 'WARNING: the use of a nightbus after heavy partying can cause nausea'. 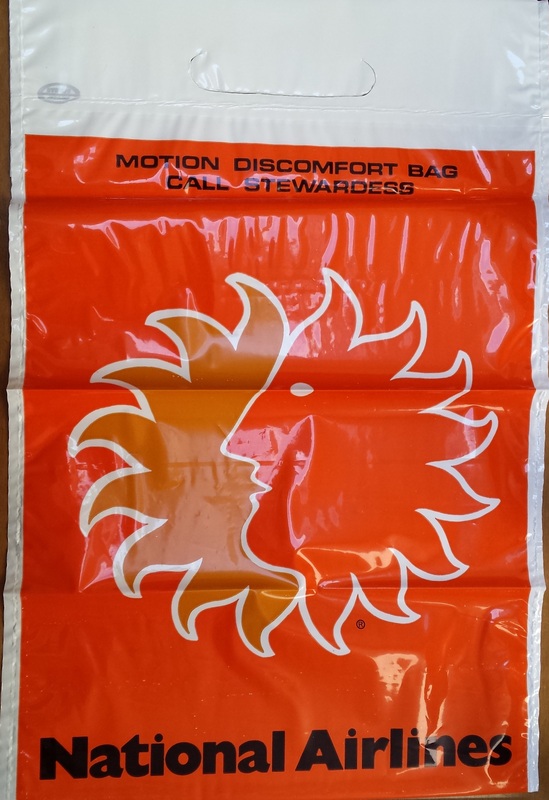 The larger bag was distributed on the busses and in bars and clubs. 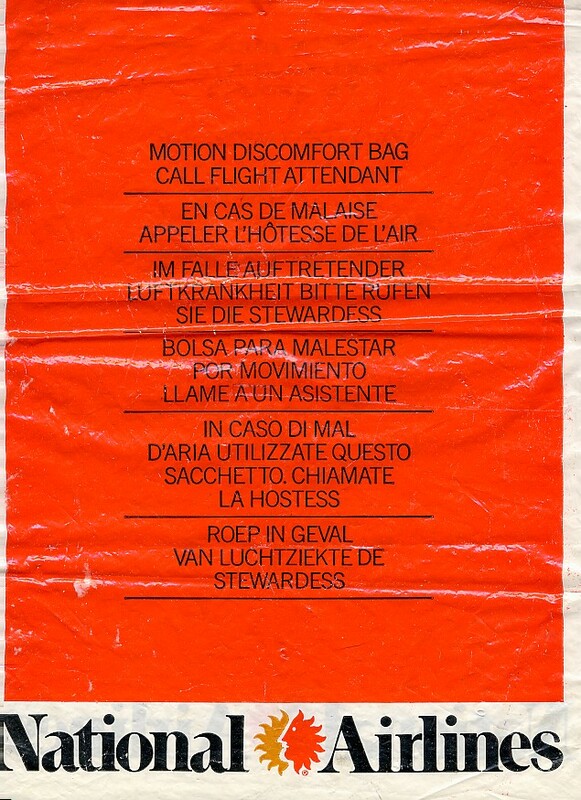 Of course, the whole 'barf bag' idea was used because of the word 'NACHTBRAKERS' (nightpukers) and because kids that drink too much do vomit more often. And it's a cool carrier of an important message. So here youa re, a little addition to your site. 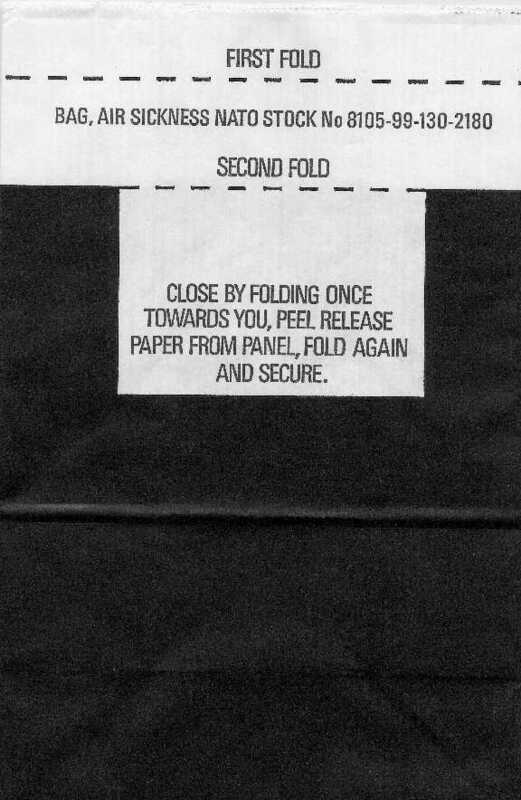 This is the tall version of this bag.The full explanation of this comes from Thomas' letter. 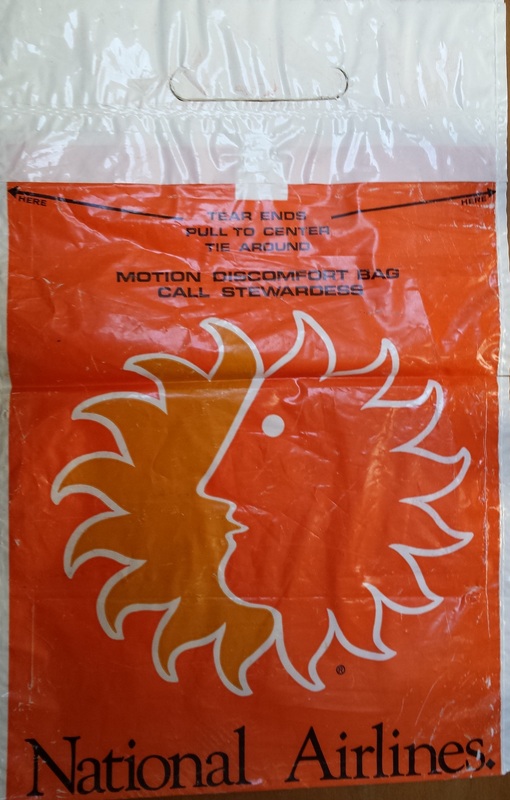 This is the first bag I ever received that has a web site on it. No doubt many more are to follow. Odd green and yellow arrows. The bag is bold and clean with a great blue heron (?) flying in front of the sun. 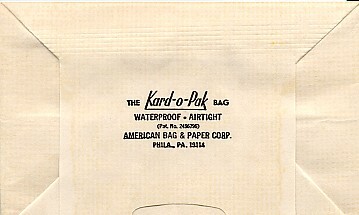 Still a clean bag, but the design of the bag underwent radical change. 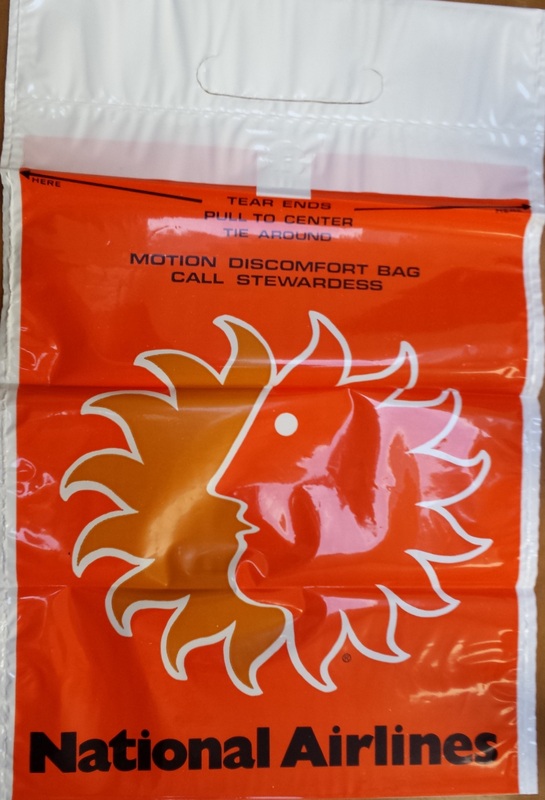 This gem says, "This Vomit Bag should be used while watching Nasty Splurty Brains"
Sid Sabbath can't be held responsible for any death, injury, or mental illness incurred by watching this film. NationAir appears to have stolen the New Balance logo. 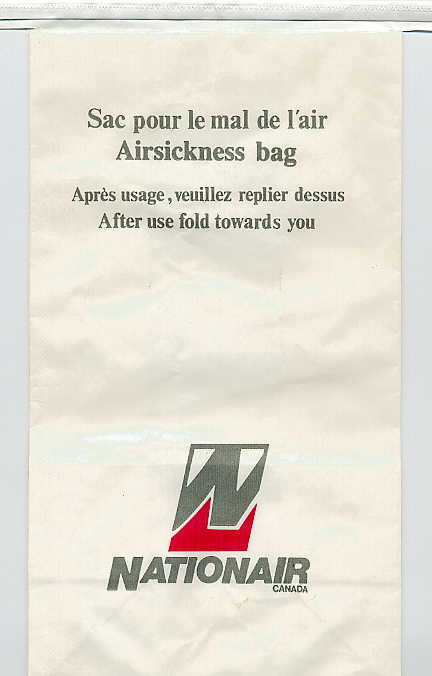 Unfortunately, there seems to be no 'width sizing' on this bag. 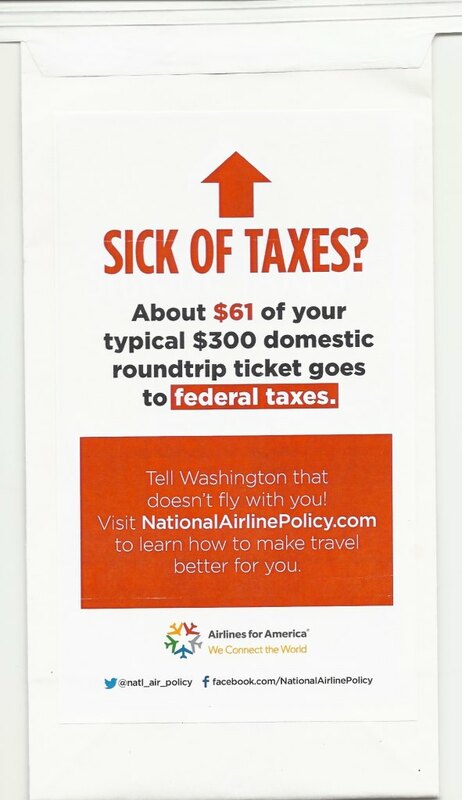 About $61 of your typical $300 domestic roundtrip ticket goes to federal taxes. Tell Washington that doesn't fly with you! Visit NationalAirlinePolicy.comto learn how to make travel better for you. Another enormous monstrosity that isn't even close to fitting on the scanner. This red bag is probably the largest bag I have. I can't imagine how many meals you'd have to eat to fill this leviathan. This is an enormous monstrosity. It's probably the largest bag I have. I can't imagine how many meals you'd have to eat to fill this leviathan. 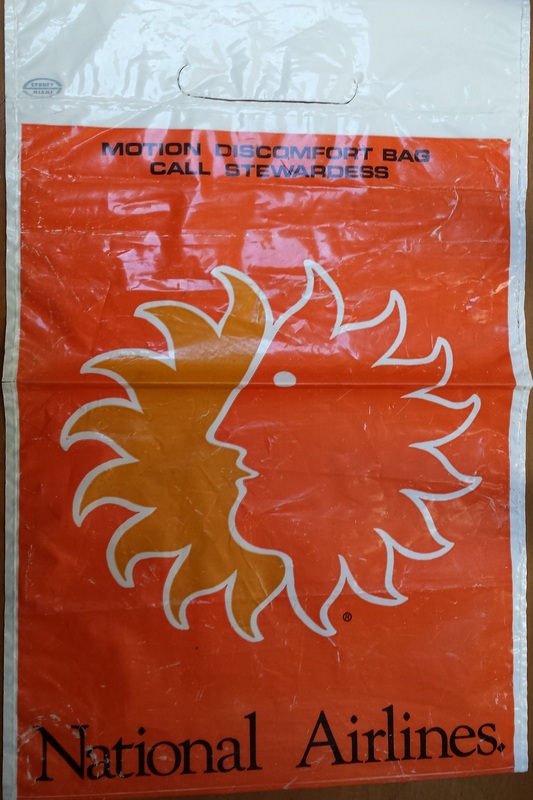 Exactly like the other ancient National Bag except the logo for Sydney Miami (which is hard to find on the bag and not shown at all in the scan) changed. This is an enormous monstrosity. The bag could easily fit a pair of shoes, subs for a family of four, or a hardhat. 1971 is really just an approximation. 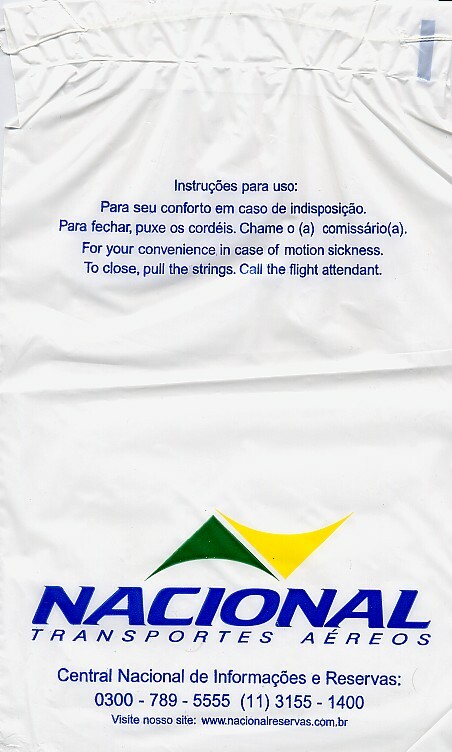 Note that this bag is almost identical the 1970 bag except the font in no long bold, plus there's a period at the end of National Airlines. 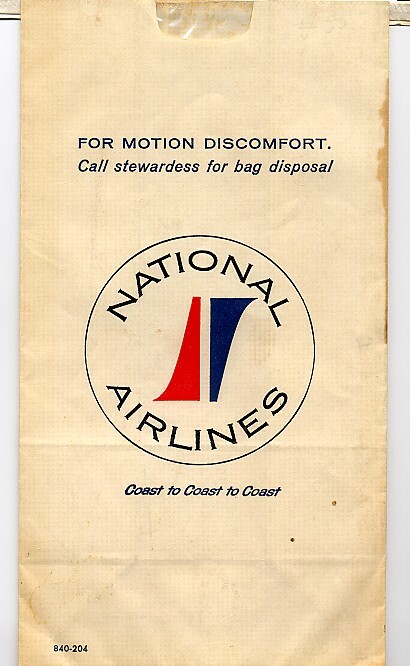 Sometime in the 70's, National Airlines seemed to have finally got it. They downsized the bag into a rather sharp looking utilitarian device. $5 on eBay. Go Coast to Coast to Coast on National Airlines! Which coasts could they mean? Atlantic to Gulf of Mexico to Pacific? Why would you want a stop in New Orleans on your way from Boston to Seattle? 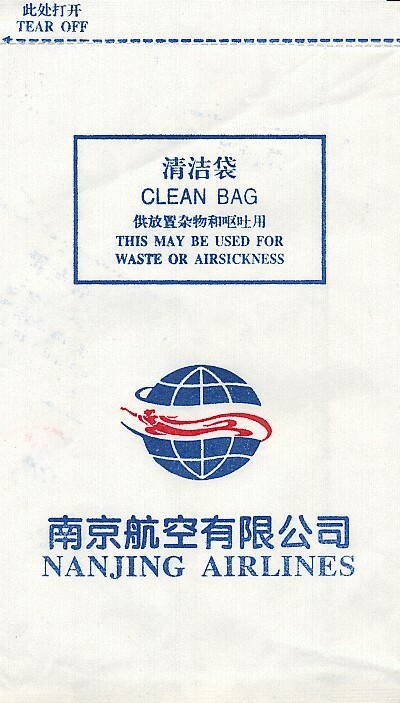 Foreign airline that is different than the US carrier that has enormous bags. Heartbeat logo. 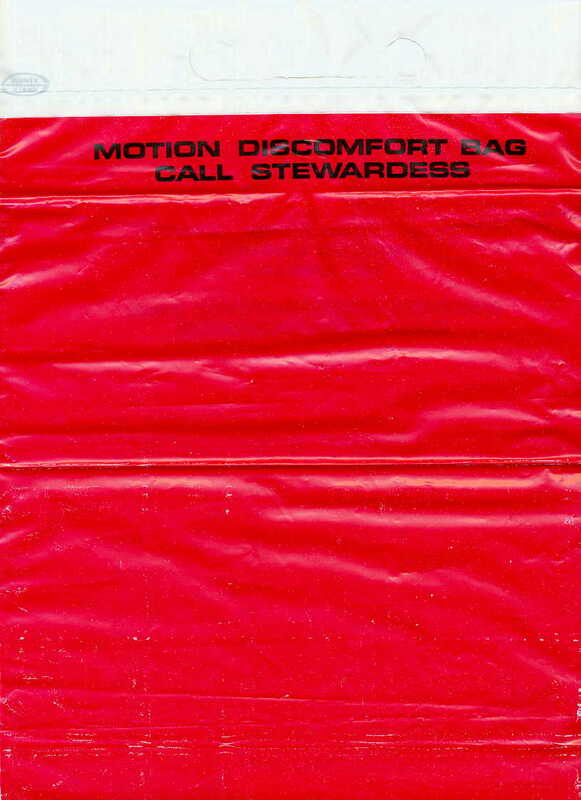 Has to be the thickest plastic sack I've seen of any bag. You could package bark mulch in it and it wouldn't leak. 1970 is really just an approximation. 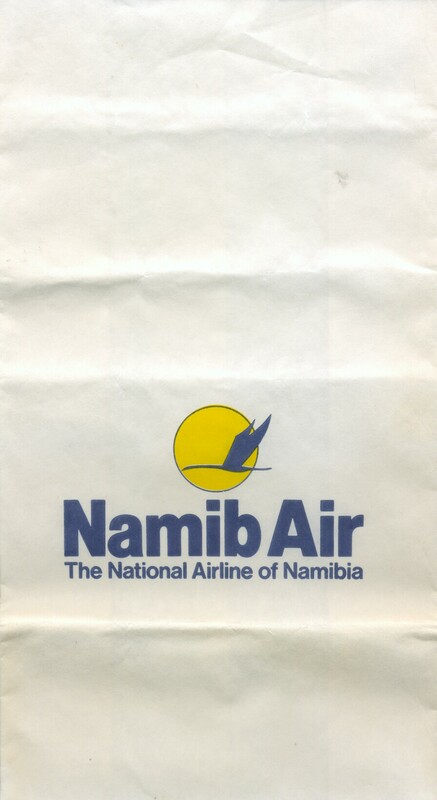 Note that this bag is almost identical the 1971 bag except the font is bold, plus there's no period at the end of National Airlines. This bag was sent to me by my friend Megan Winthrop who got it from her Mother In Law Michelle. 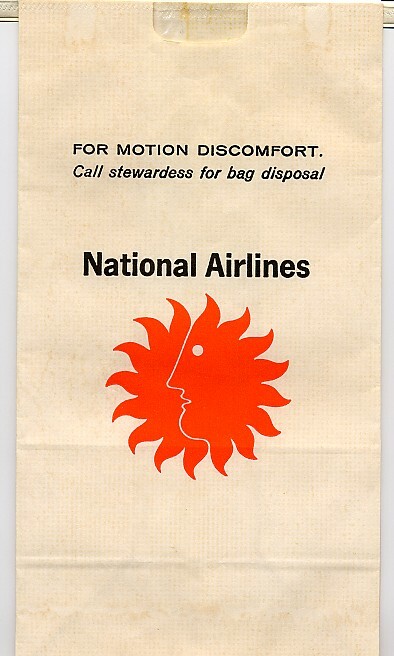 Exactly like the other ancient National Bag except the logo for Sydney Miami (which is hard to find on the bag and not shown at all in the scan) changed from upper left on the bag to upper right on the bag. 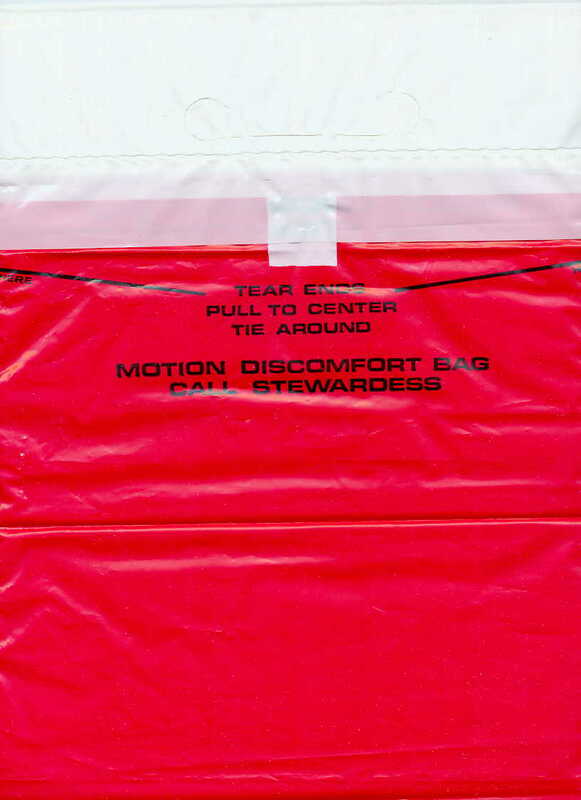 Identical to other Red, White and Blue version except the bottom of the bag displays a zip code. You can tell that this was issued by a government agency because it's got a stock number (8105-99-130-2180) on it. Plus the instructions, while precise, aren't all that comprehensible.